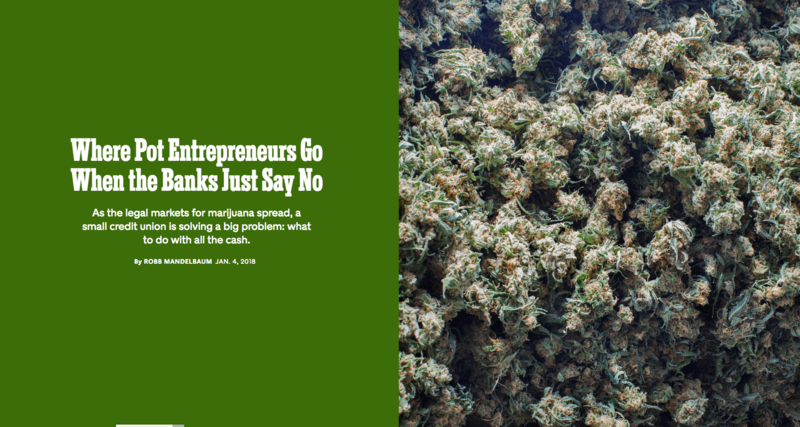 The New York Times just published an article on cannabis banking. RLG founder Dave Rodman spent hours on the phone during the summer of 2017 explaining the realities of the cannabis industry and the available banking options to the article’s author, Mr. Robb Mandelbaum. Everyone at RLG is ecstatic that Mr. Mandelbaum got this piece published, as it draws attention to a major issue for the industry at a time when things are looking a little less shiny and the carnival act that is the Trump administration, along with its various side shows, is sending shivers through the industry. And while Safe Harbor has, sadly, had to put new accounts on hold, Mr. Rodman has been hard at work developing alternative solutions for clients of his firm. He has already secured a relationship with a private bank that will allow the clients of RLG to have priority as to their application, and he is very close to rolling out an entirely new solution that will not only allow cannabis companies to bank in any state where cannabis is legal, but will also have fundraising capabilities as an intrinsic function of the service. Dave is hoping to make a preliminary announcement by the end of the month and foresees a paradigm shift in regards to financial practices in the legal cannabis markets. We highly recommend (no pun intended) that you read Mr. Mandelbaum’s article. You can do so here.